Today, multiplatinum GRAMMY winner Estelle, has premiered her fifth studio album Lovers Rock exclusively via NPR's First Listen a week prior to release! The collection will be available everywhere to stream and purchase on September 7th. Lovers Rock (via her own label Established 1980 Inc and VP Records) is Estelle's most personal album to date, as it is not only a retelling of her parents' love story, but also her centering in on her West Indian roots with a full-fledged reggae album, with touches of Afro-beats and Soca. She has collaborated with esteemed producers Supa Dups [Drake, Beenie Man], Reefa [Lil Wayne], Jerry Wonda [Wyclef Jean], Harmony Samuels [Jennifer Lopez, Ariana Grande], Dre Harris [Michael Jackson, Mary J Blige]. 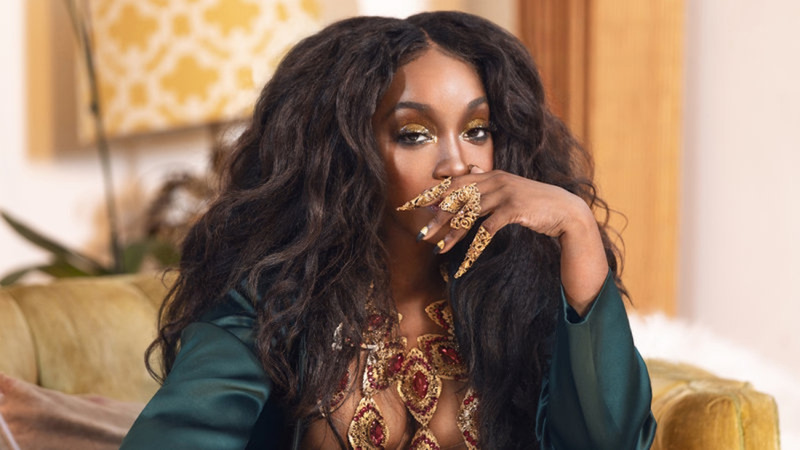 Estelle has also featured acclaimed artists HoodCelebrityy, Chronixx, Kranium, Luke James, Tarrus Riley, Maleek Berry, Konshens & her own label signees Nick & Navi. Tracklisting can be found below! CLICK HERE to listen to the 13-track LP and read her interview discussing the album!